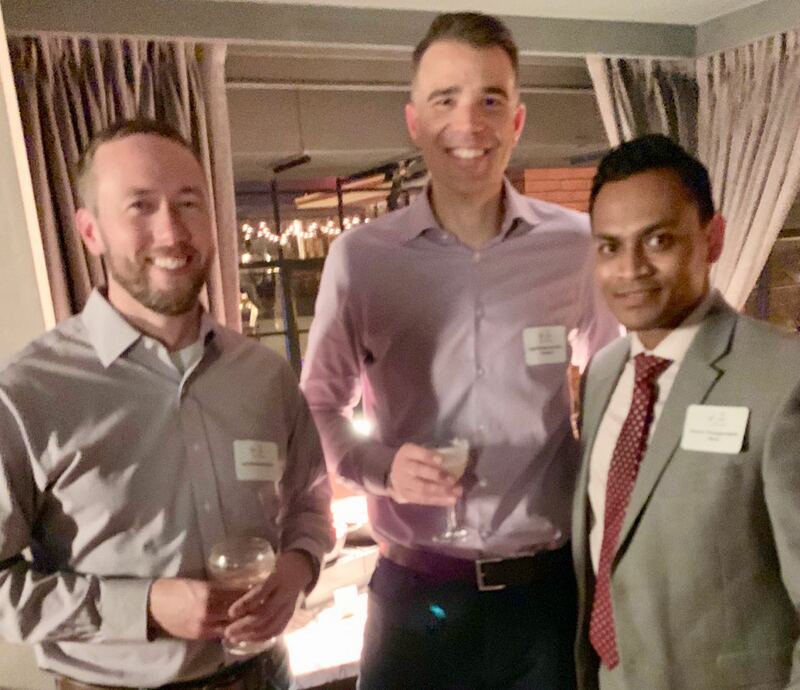 The tradition of breaking bread, sharing a drink and enjoying meaningful connections between ophthalmologists and optometrists continued in November. 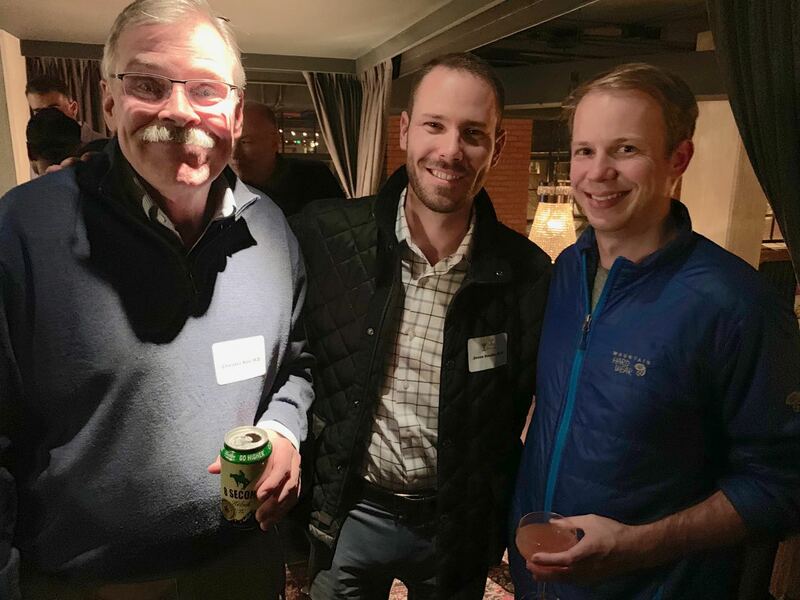 CSEPS and the Colorado Optometric Association (COA) once again co-hosted a no-agenda social mixer. The fun and funky location at Death & Company set the stage for a great evening. Thanks to all those that attended. If you missed it, then make a note now to make the next one. CSEPS President Leo Seibold, MD, (l) and President-elect Chris Thiagarajah, MD, (r) flank COA President Jon Pederson. OD. Chet Roe, MD, Jesse Smith, MD, and Marc Mathias, MD, are nothing but smiles.